2003. 405 pages. Mass Market Paperback. Rae is a young baker with a never-used magical heritage and an abiding curiosity about vampires. One night she drives out to a lake and is captured by a gang of vampires. They shackle her in a ballroom as a meal for a rival vampire who they have imprisoned. This vampire’s name is Constantine and he and Rae forge an unlikely alliance that will mean both danger and salvation for them both. I galloped through this book in about three sittings. McKinley definitely starts out the book strong with Rae’s capture and escape. The suspense of this instigating event had me thoroughly engaged. Although there is an array of interesting characters in Sunshine, at the center is the complicated but compelling relationship between Rae and Constantine. I liked how they worked together as a team, watching out for each other’s backs. Yes, there is romantic tinge there too, and midway through there is a rather jarring sexual scene, but that doesn’t seem to be the point of their bond. Indeed, after that one scene, both characters back off from that direction. I liked that the vampires were by and large creepy and threatening. This is true even for Constantine who is admirable but still always exudes a different-ness. Rae narrates the story in first-person and is prone to tangents, asides and random exposition. This will probably annoy some readers. For the most part, I liked this style because these supposedly ‘off-topic’ parts did a fantastic job with world-building. As I think I have mentioned on my blog before, I have a high respect for authors that can make their fictional world feel lived-in. Rae’s forays into city politics, hints about past world conflicts, and details of charms and wards all helped in this achievement. I did get a little tired of the rambling by the last third though. Indeed, the book lost some steam toward the end and the much-anticipated standoff with the main villain was anti-climactic. There are some loose threads I wish had been resolved, seeing as how this is a standalone novel and not a series. For instance, I kept waiting for Rae to have a conversation with her mother about her father and it didn’t happen. I would say that of the four “parts” to the book, the first two were definitely the strongest, ending with intensity. One of my favorite aspects of the book is how natural imagery is woven into Rae’s conception of her changed self. Her awakening power is like a tree with rustling leaves. Also, when a doe’s life is used to save Rae, she acquires the animal’s memory and this becomes a recurring, peaceful motif throughout the carnage and fear of Rae’s life. To incorporate the strength and calm of nature into one’s self is an appealing concept. This was my second book by author Robin McKinley. When I was in high school I read Beauty, but I hardly remember it so I can’t compare. 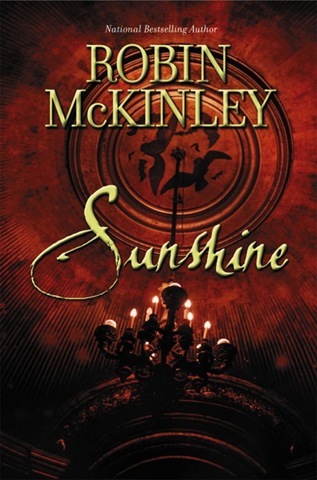 For readers of McKinley’s work, where does Sunshine stand in relation to her other books? Are they similar? For, despite some of the flaws I pointed out, I really enjoyed reading this book, so I would be open to reading more from McKinley. 1818. 271 pages. Mass market paperback. Ambitious scholar and scientist Frankenstein creates life in the form of a large, misshapen being. He regrets his action immediately, but little does he realize the compounding damage that will be wrought by his creation. Well, through no particular design of mine, it’s been a week since I last posted. Egads! Never fear, though, a book review is here. Though many people apparently had Frankenstein as an assigned book for school, I never did. So bear with me as I obliviously and superficially name themes and concepts on which you may have written term papers. Expound away in the comments! So. Frankenstein is essentially about two miserable beings, creator and created. For the most part, the novel is told from the perspective of Frankenstein as he watches the destruction of his life and all he loves, knowing that it was his mistake that instigated this destruction. There are a few chapters though that are told from the perspective of Frankenstein’s creature, who has no name. And the entire narrative is bookended by passages written by a third narrator, an outsider to the main events who chances upon Frankenstein while on an Arctic exploration voyage. 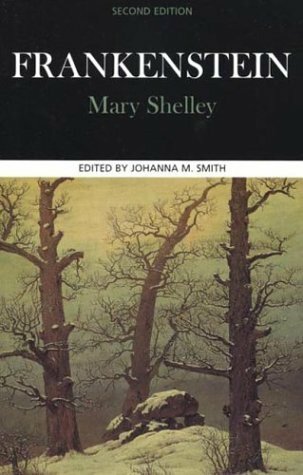 I loved the passages from the perspective of Frankenstein’s monster, as he related his intense loneliness in the world as an immediate outcast from humanity. I find his story more of a tragedy than that of Frankenstein. I couldn’t really forgive Frankenstein for leaving his creature to fend for itself. Frankenstein feels briefly bad for his abandonment, but by that time, the creature has murdered so it’s too late for the scientist’s repentance. Later, Frankenstein insists that his past conduct was not blamable, and seems to forget that his desertion of his creation was a mistake too. The greater tragedy is of course for Frankenstein’s family and friends who have to suffer for it. One thing that kind of bothered me about the novel is that Mary Shelley doesn’t describe how the monster was created. The reason given by Frankenstein is that he doesn’t want anyone to duplicate his efforts. Fair enough. Also, if Mary Shelley had described this impossible endeavor it might have sounded completely ludicrous, so in that sense, it was the smart thing to do. What bugs me is where did Frankenstein get the parts?? The ‘monster’ appears to be basically human in function, so by what manner did Frankenstein get the human bits? At one point, he is creating a second being, and he is on a remote island. Did he rob their cemetery? This point bugged me because his procurement of these parts would seem to have ethical implications in and of themselves. One aspect I did not expect from Frankenstein was the travelogue elements. Frankenstein has a great love for nature and curiosity about new places and describes the places of his visits in some detail, from Geneva to Ingolstadt, to England, and the Orkney Islands. There’s a wildness to many of the places that suits the narrative. I can definitely see why this book is a classic and am glad I included it on my list of older books to read this year. I look forward to your thoughts on it! There are no book reviews between this library loot and the last one, which shows that I tend to bite off a little more than I can chew, heh. EDIT: Apparently I cannot read my own blog. Erin has pointed out that I did review Wonder Spot. Still, this slowish patch in book-reading is partially due to my impromptu marathon of MI-5 episodes on Netflix Instant Watch last weekend. Mmm, British television. Anyway, I returned some books to the library (a few unread or abandoned among them) and picked up a fresh batch. 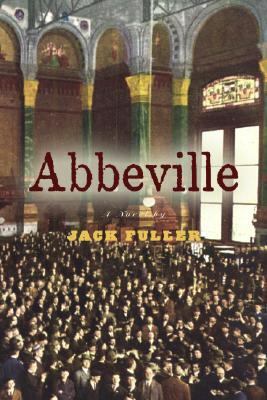 Abbeville by Jack Fuller – This one is for the Spotlight Series, which is spotlighting various independent small presses throughout the year. The publisher for this round is Unbridled Books. I don’t think I’ve read anything by them before. I wanted to read Taroko Gorge, because the cover and premise reminded me of Peter Weir’s great, creepy film, Picnic at Hanging Rock, but my library system doesn’t have it yet. I don’t remember why I picked Abbeville when I put it on hold over a week ago. Its premise is not usually my cup of tea: a man returns to his hometown after career failure and there are flashbacks to his grandfather’s life – a man who also suffered failure, but during the Depression. I must have tripped across a review online that convinced me to give it a shot. 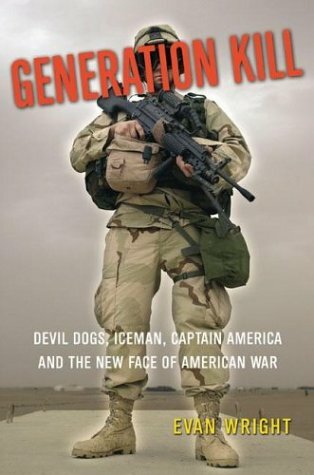 Generation Kill by Evan Wright – I’ve seen the miniseries based on the book, and I’ve also read and loved Nathaniel Fick’s book One Bullet Away which overlaps Wright’s book in events and people. (Fick was a lieutenant in the platoon where Wright was embedded during the Iraq war in 2003). I like the idea of seeing the things Fick wrote about from another perspective. My review of Fick’s book is here. The Best American Travel Writing 2006 – I really enjoyed reading the 2009 compilation. 2008 and 2007 were not on the shelves, so I picked this one up. 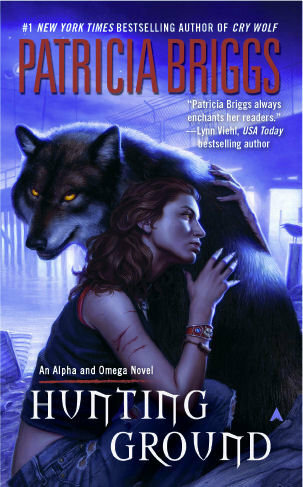 Hunting Ground by Patricia Briggs – This is the second book of the Alpha & Omega series. I’m a huge fan of Briggs’ Mercy Thompson series, and Alpha & Omega is the (lesser but still interesting) spin-off series. Hunting Ground will give me a Briggs fix until Silver Borne, the 5th Mercy Thompson book, comes out at the end of March. Sunshine by Robin McKinley – recommendations for this book have come from several different corners, principally that of Erin, from Something Wicked This Way Blogs. If the study to which you apply yourself has a tendency to weaken your affections, and to destroy your taste for those simple pleasures in which no alloy could possibly mix, then that study is certainly unlawful , that is to say, not befitting the human mind. 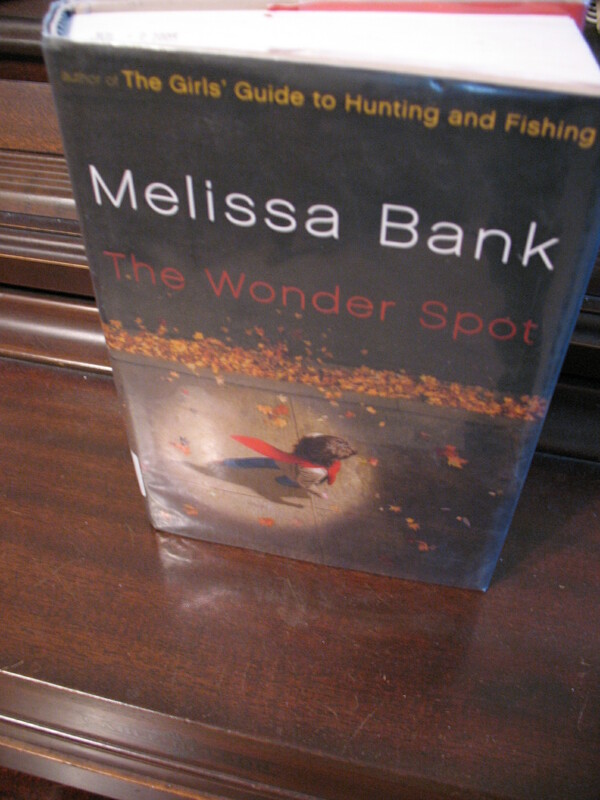 The Wonder Spot is a set of short stories about Sophie Appelbaum, a snarky but not particularly ambitious young woman. The first story is the only one to take place in her childhood. The rest follows her as an adult dealing with career, family and dating quandaries. Sophie Appelbaum is not someone you would admire or want to emulate. Almost every story has a new boyfriend with the relationship’s end already forecasted and she never accomplishes much job-wise. I liked her though, for her humor and ordinariness and her observations about life that ring true. What most rings true in the book is how people never fully understand each other: that there’s some part of us that will always remain a stranger. Then there are the joyful moments of connection, and the book captures that too. The set-up of the book is very interesting. All of the stories are about Sophie Appelbaum, told from her point of view. Some characters resurface again, but others disappear completely with no explanation. In one story, Sophie takes an art class and this is the focal point of the narrative. In a later story, the art class is referred to off-handedly as if it was of little note. Of course there is no way I could know, but I suspect that you could read any one of these stories by themselves and not be lost. They are self-contained in a sense, and yet reading them together has the cumulative effect of seeing a life enfold over time. 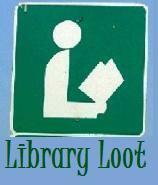 Before we were inundated with all of this snow, I nipped out to the library and picked up a couple more books. 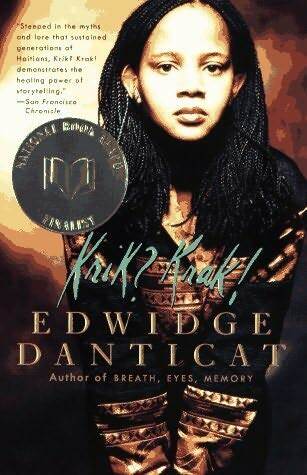 – I’d heard of Haitian author, Edwidge Danticat before, but hadn’t read one of her books. The recent tragic events in Haiti brought the author to my attention again and this book looked interesting. I love the title and the cover. – I loved Lee Smith’s epistolary novel Fair and Tender Ladies, which I read a couple of summers ago. As with that novel, Black Mountain Breakdown circles around the life of an Appalachian woman. Fair and Tender Ladies‘ protagonist Ivy Rowe was a fantastic character, and I hope this book has a similarly engaging protagonist. Here’s an excerpt from my current read. The narrator is talking about her roommate Venice. She said, “I was named for the place of my conception,” and it sounded like she was claiming that the city had been named for her. But then she said, “I’m lucky they didn’t name me Gondola. Or Canal,” and I went all the way from hating to liking her, and the distance made me feel like I loved her.